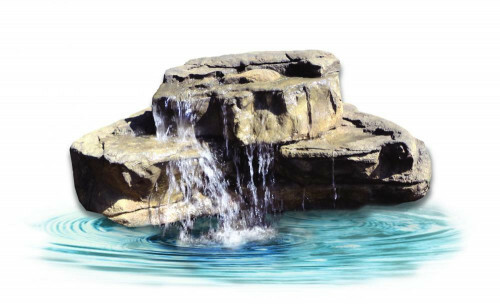 A large sized overhang waterfall sold mostly for the swimming pool market can easily be retrofitted and set up on large sized ponds weighing only 80 to 90 pounds. 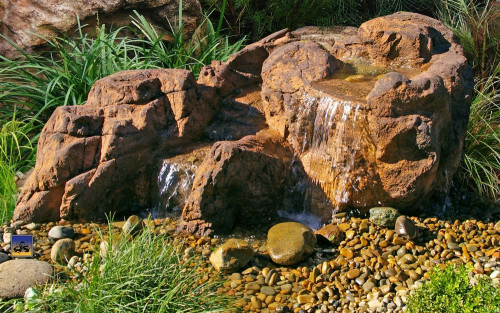 Two people can easily pick up and lift this waterfall into place. 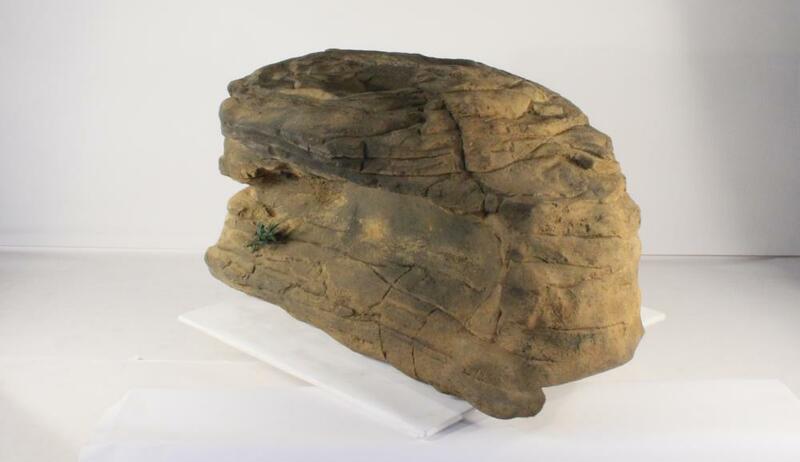 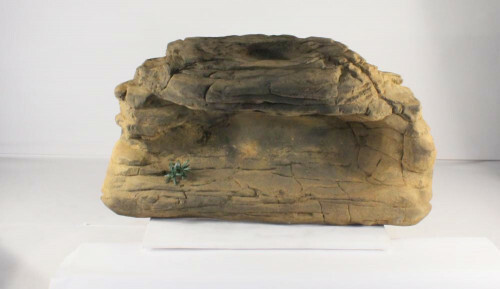 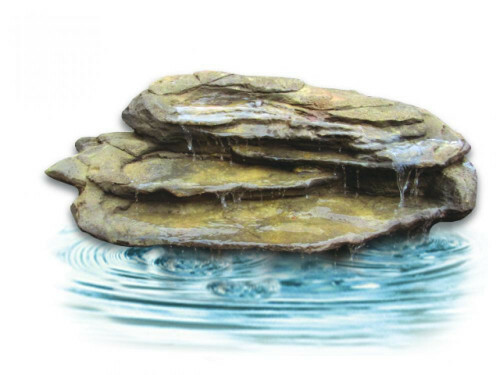 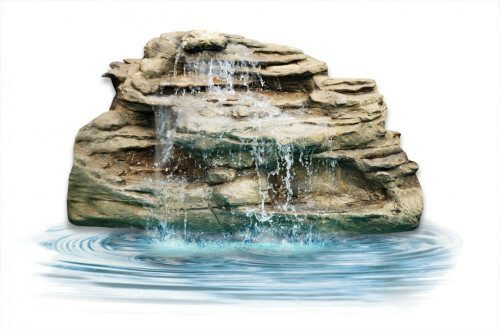 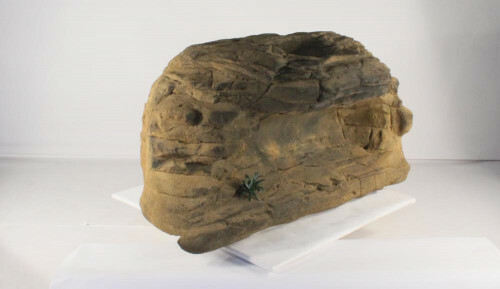 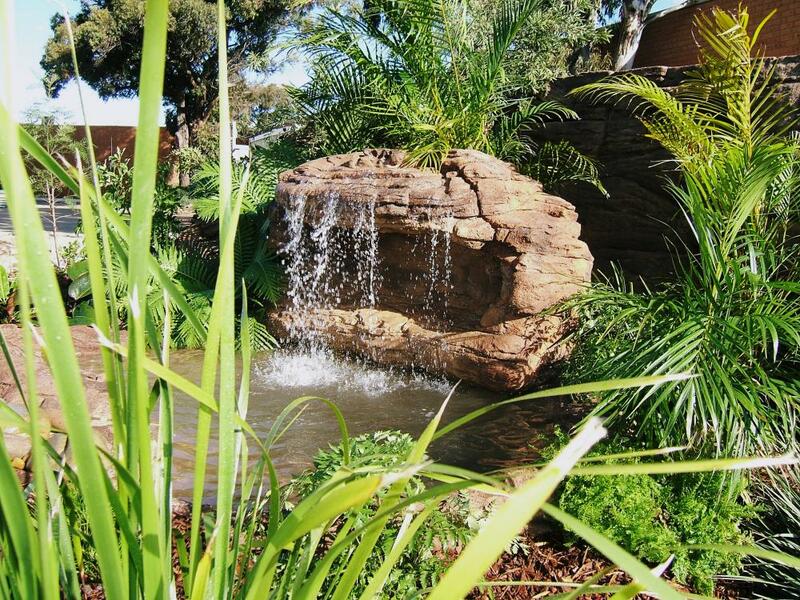 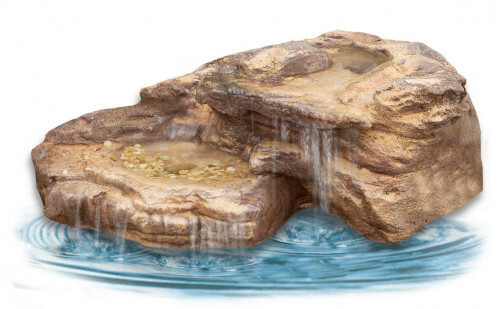 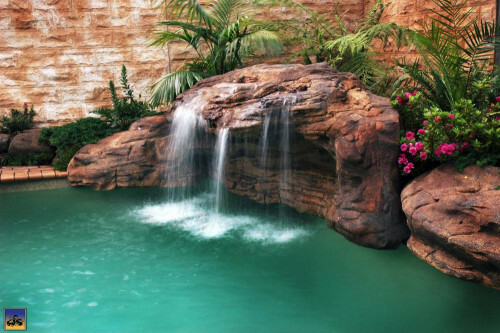 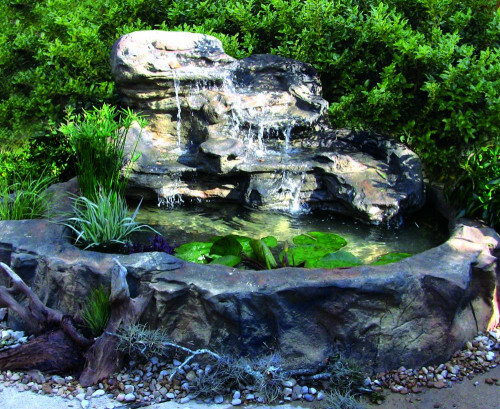 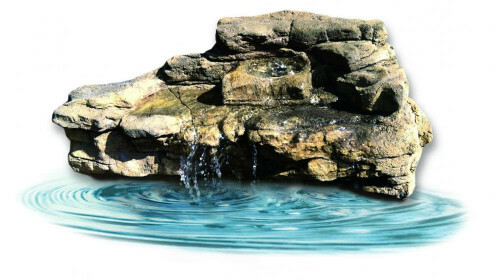 See this waterfall in our Swimming Pool section as well "The Oasis" with complimenting side Edge Rocks.